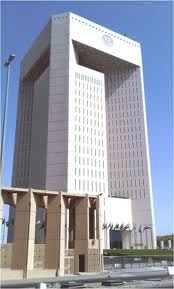 Gulf Daily News (Rabat, Morocco, June 25, 2013) — Morocco has won backing from the Saudi-based Islamic Development Bank (IDB) for its first sukuk as the cash-strapped North African country looks to attract Middle Eastern investors. “The IDB has proposed us to buy our sukuk rather than offering us another loan,” General Affairs Minister Mohamed Najib Boulif said. “But the amount has not been set yet”. Morocco’s moderate Islamist Justice and Development Party, which came to power in 2011, has paved the way for Islamic finance by reforming its securitisation law to allow sukuk. Earlier this year, Morocco agreed a $2.4 billion package with the IDB, under which it will receive $600 million each year from 2013 to 2016. It also raised $750m last month in a two-part reopening of its $1.5bn bond. Morocco is considering other financial reforms, such as that of the pension and tax systems, as it grapples with the fallout from the euro zone crisis.